At the bitter end of the 1960s, after surviving multiple assassination attempts, President John F. Kennedy is entering his third term in office. The Vietnam War rages on, and the president has created a vast federal agency, the Psych Corps, dedicated to maintaining the nation’s mental hygiene by any means necessary. Soldiers returning from the war have their battlefield traumas “enfolded”—wiped from their memories through drugs and therapy—while veterans too damaged to be enfolded roam at will in Michigan, evading the government and reenacting atrocities on civilians. This destabilized version of American history is the vision of twenty-two-year old Eugene Allen, who has returned from Vietnam to write the book-within-a-book at the center of Hystopia. In conversation with some of the greatest war narratives, from Homer’s Iliad to the Rolling Stones’ “Gimme Shelter,” David Means channels the voice of Allen, the young veteran out to write a novel that can bring honor to those he fought with in Vietnam while also capturing the tragic history of his own family. 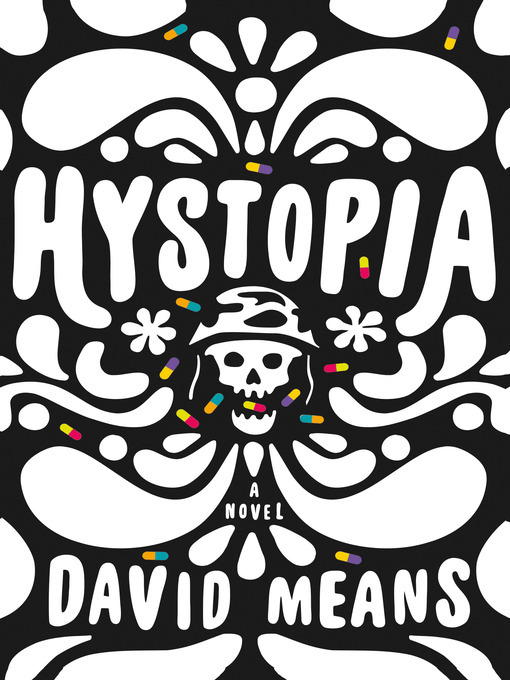 The critic James Wood has written that Means’s language “offers an exquisitely precise and sensuous register of an often crazy American reality.” In Hystopia, his highly anticipated first novel, David Means brings his full talent to bear on the crazy reality of trauma, both national and personal. Outlandish and tender, funny and violent, timely and historical, Hystopia invites us to consider whether our traumas can ever be truly overcome. The answers it offers are wildly inventive, deeply rooted in its characters, and wrung from the author’s own heart.